For marine biologist Julianne Maroney, two weeks in tiny Declan’s Cross on the south Irish coast is a chance to heal her broken heart. She doesn’t expect to attract the attention of FBI agents Emma Sharpe and Colin Donovan—especially since a Donovan is the reason for her broken heart. Emma and Colin are in Ireland for their own personal retreat. Colin knows he’s a reminder of everything Julianne wants to escape, but something about her trip raises his suspicion. Emma, an art crimes expert, is also on edge. 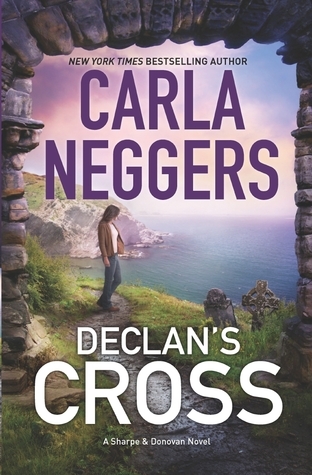 Of all the Irish villages Julianne could choose…why Declan’s Cross? From the moment Julianne sets foot on Irish soil, everything goes wrong. The well-connected American diver who invited her to Ireland has disappeared. And now Emma and Colin are in Declan’s Cross asking questions. I can’t say it was the first book I read on my own but what comes to my mind is reading Flip, a story about a horse, to my little brother. Endlessly. Over and over. I had it memorized. He still remembers my reading it to him and hunted down a copy for his son. I just was out in the garden with shears, chopping down spent daisies. Fall is upon us! I love gardening, but I’m afraid I let things get wild this year. One of those summers. I’ll start fresh again in the spring. The title of the new Sue Grafton novel. I’m buying it for my mother and mother-in-law! I’m not that fond of slugs, but to truly cringe…oh, dear. Maybe I’ll keep that to myself. I don’t want to make anyone else cringe! I’ve read one of her books and liked it, would love to read this one. I really like Emma and Colin as a couple and want to see how they’ve progressed as a couple. Looks like a good book….love your choice of books. 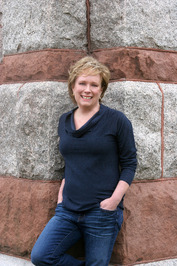 I enjoyed Carla’s Q&A and I haven’t read one of her books in a while. Emma and Colin’s story looks good. It is added to my TBR list! I’m hoping I can read it soon…during winter break would be nice. I haven’t read a book set in Ireland in a while – this looks wonderful! It has a great setting for the story. I have always loved Carla’s books, and would really enjoy reading this one. Thanks for this chance.